Sun, sea, nature, culture… Okinawa is the southernmost prefecture in Japan, and our destination this month as we continue our Food Lover’s Tour of Japan! Comprised of 160 islands, 49 of which are inhabited, Okinawa was the ancestral home of the Ryukyu Kingdom and is a modern epicenter of Japanese tourism, trade and arts. Okinawa has been at the crossroads of trade with China, mainland Japan and other parts of Southeast Asia since the 15th century. From that time until the 19th century, Okinawa was known as the independent Kingdom of Ryukyu, where arts, crafts, architecture, food, culture and trade flourished. Okinawa Prefecture consists of large islands and smaller archipelagos, including the largest and main island called Okinawa, the Yaeyama Archipelago, the Miyako Archipelago, Kerama Island and the closest inhabited islands surrounding the main island of Okinawa. Naha City is the largest city in Okinawa, and is located in the southern part of the main island. 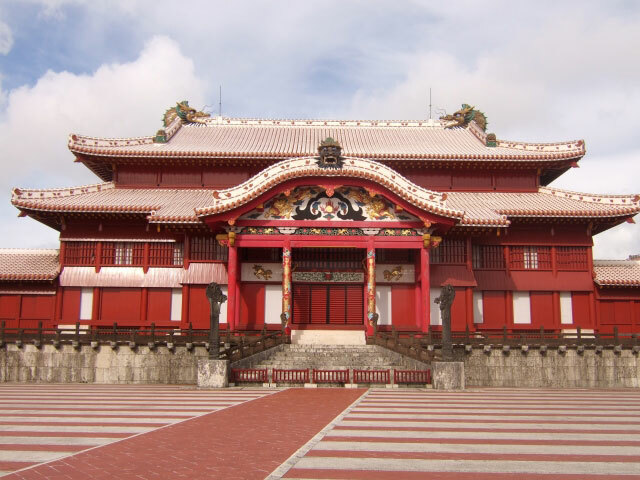 This city is where the ancient seat of the Kingdom of Ryukyu was based at Shuri Castle. Designated a UNESCO World Heritage Site, Shuri Castle, along with Shikina-en, the residence of the royal family, the Enkaku-ji Temple and Tamaudon, the royal mausoleum, are well worth visiting. Today, Naha City is the economic, political and transportation hub of Okinawa, and tourists can enjoy visiting the cultural sites as well as Kokusai Street. Considered “the kitchen of Okinawa”, Kokusai Street is a bustling place full of shops and restaurants and the Makishi Public Market, where grandmothers called “obaa” work at the food stalls. Naha City is also the port town from where one can travel to other parts of the prefecture. For those wishing to stay on the main island, the northern and northwestern parts of the island offer numerous and varied experiences. 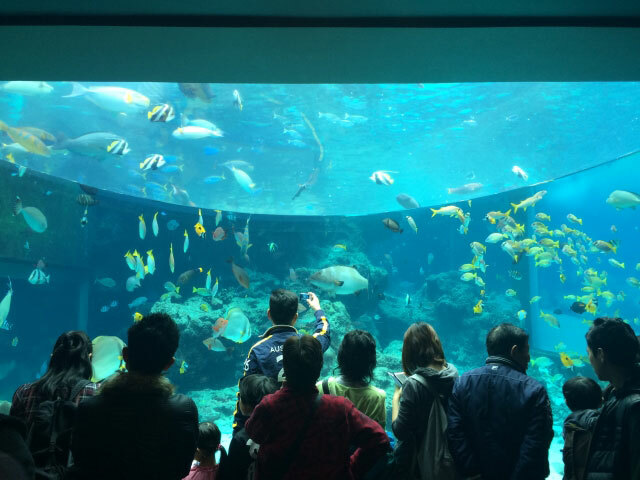 In the far north, the famous Okinawa Churaumi Aquarium displays abundant marine life, like whale sharks, tropical fish, rays and corals in some of the largest tanks in the world. The aquarium works to protect endangered species and cultivates approximately 800 colonies of coral from nearby waters. The waters themselves are crystalline blue, and beaches stretching from the north all the way down the western coast are home to luxurious resorts and deep sea water spas. Hiking trails that frequently run within streams along mountains and fruit plantations are also abundant in this area. Okinawa’s famous Churaumi AquariumThe southern part of Okinawa Island lends itself to agriculture, especially the cultivation of sugarcane, and to cave exploration, especially in the Gyokusendo Caves. In ancient times, this area was the religious center of the Ryukyu Kingdom and in present time, is home to peace memorial parks and museums dedicated to those who lost their lives during World War II. The Cornerstone of Peace, located at the Okinawa Prefectural Peace Memorial Park, lists the names of all who were lost, regardless of nationality and age, in the hopes that today’s generations work to prevent war. The central part of Okinawa Island is the most multicultural of all. The United States still maintains military bases there, and trade with China and Southeast Asia continues in the region. The culture here is “chanpuru” or mixed, and the cities showcase shops, restaurants, movie theaters and entertainment complexes with signs in English as well as in Japanese. Central Okinawa is also said to be the birthplace of karate, and many martial arts dojos are open for extensive training. Eisa dancing, sanshin music, and traditional architecture also flourish in this part of the island. 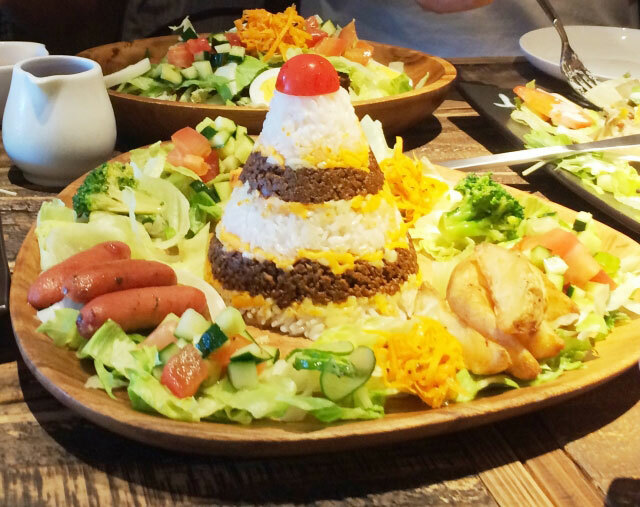 One of the most unique things about Okinawa, especially in this region is its signature dish–taco rice. Legend has it that taco rice was invented for American military men when restaurants in Okinawa didn’t have the wherewithal to make taco shells. They sautéed ground beef with taco seasonings and piled it on top of cooked Japanese white rice. Toppings such as cheese, lettuce, tomatoes and rarely salsa, completed the dish. Matsuzo Gibo is credited with the invention of the dish, and founded two restaurants–King Taco and Parlor Senri–both of which claim ownership of the dish. 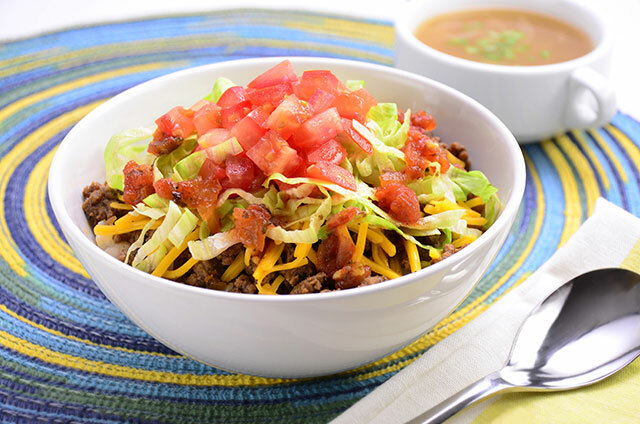 Original taco rice may be hard to find in the US, but our recipe of preparing it at home is easy. Check out the simple way to make a Taco Rice Bowl, Zojirushi-style. All you need is ground beef, seasonings, rice and toppings! We hope you enjoyed reading about Okinawa Prefecture and as always, share your comments and photos below! 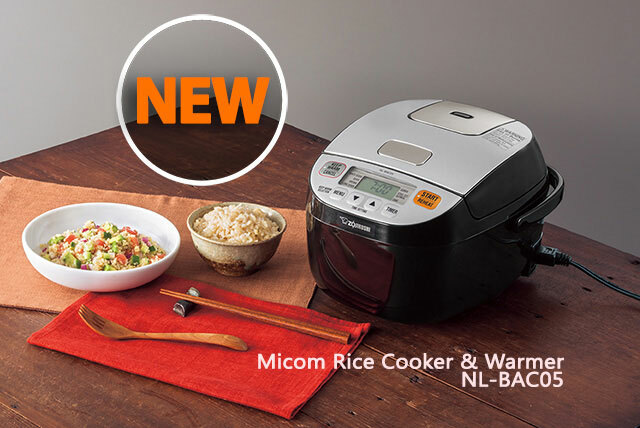 Introducing our new Micom Rice Cooker & Warmer (NL-BAC05)! We love this compact rice cooker. It’s packed with features and is an ideal size for couples and small families. With this 3-cup rice cooker, you can make as little as ½ a cup of rice or grains, allowing you to have the flexibility of making a small dish or a hearty meal. This rice cooker uses some of our best features, like a nonstick coated, 2.5mm thick black inner pan which allows for even heat distribution and easy cleaning, as well as a triple heater with an extra-large heating element that heats the inner pan from the bottom, sides and top. The onboard microcomputer employs advanced fuzzy logic technology to ensure perfect results every time by making fine adjustments to cooking time and temperature. This rice cooker also has new healthy menu settings such as Steel Cut Oatmeal and Quinoa, as well as the other settings like White/Sushi rice, Brown rice, Long Grain White rice, Quick cooking, and even Cake which can all be found on the easy-to-use LCD control panel. The machine chimes with a melody feature when cooking is complete, so you can enjoy your food hot and fresh. Two keep warm settings–Automatic Keep Warm and Extended Keep Warm–keep rice at the perfect serving temperature. 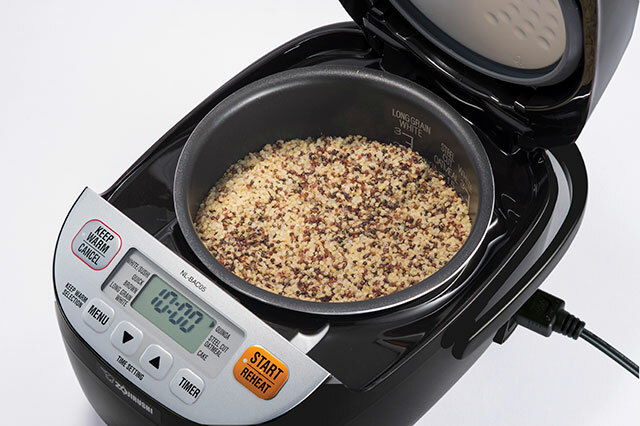 One of the great benefits of using a rice cooker is having your rice or grains prepared when you’re ready to eat it. The Delay Timer function on this rice cooker sets the machine to finish cooking rice by a specific time, so you can program it to cook while you’re at work or out running errands, and have rice ready when you return. And convenience features like a removable Steam Vent Cap allows for high temperature cooking without messy overflows. The retractable power cord and sturdy fold-down handle make this machine simple to store, and all surfaces that come into contact with food are BPA-free. Plus it comes with a spatula and measuring cup. We hope you try out our delicious recipes like this Quinoa and Chicken Super Salad or or fresh and fruity Tropical Long Grain Salad! Find out more about the Micom Rice Cooker & Warmer on our website and as always, we’d love to hear about your favorite recipes! Long, hot days, summer vacation and baseball are the hallmarks of summer and in Japan, are best enjoyed while drinking an ice cold beer! Japan ranks among the top beer consumers in the world, selling an estimated 718.5 million gallons in 2015 according to the Brewers Association of Japan. Five companies dominate the beer market in Japan, including Asahi, Kirin, Suntory, Sapporo and Orion. 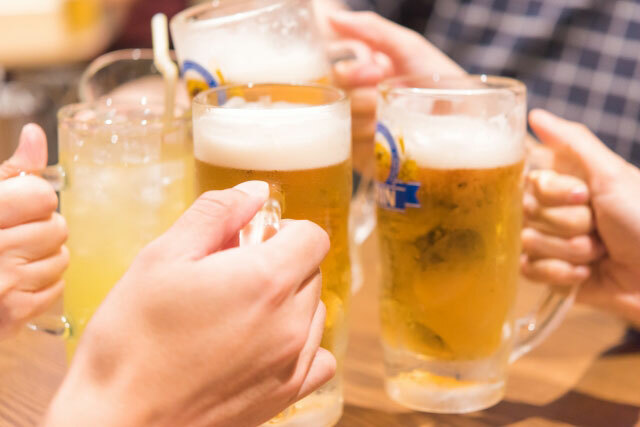 These five companies, along with craft breweries, produce the majority of beer in Japan, everything from traditional lagers and ales, happoshu or low-malt beers to new genre beers, which are brewed from non-malted crops. And those beers are the siren song of summer. 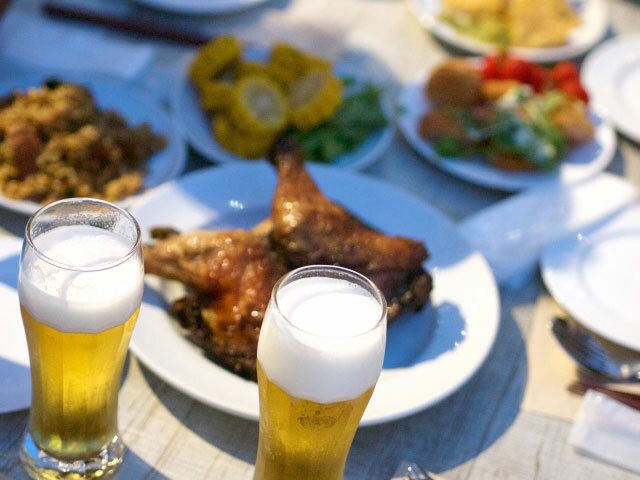 Beer is enjoyed throughout the year, but the warmer days of summer inspire Japanese people to enjoy their beer in large mugs after work at Japanese izakaya pubs, at beer gardens with savory delicacies and served by beer girls at baseball games. Everywhere you can enjoy beer has a story… and the most unique experiences! Enjoying cold, frosty mugs of beer at beer gardens is a uniquely Japanese experience. Open only during the summer, department stores host beer gardens on their rooftops in the evenings. Customers purchase entry tickets, which entitle them to as much beer and food (and sometimes dessert!) 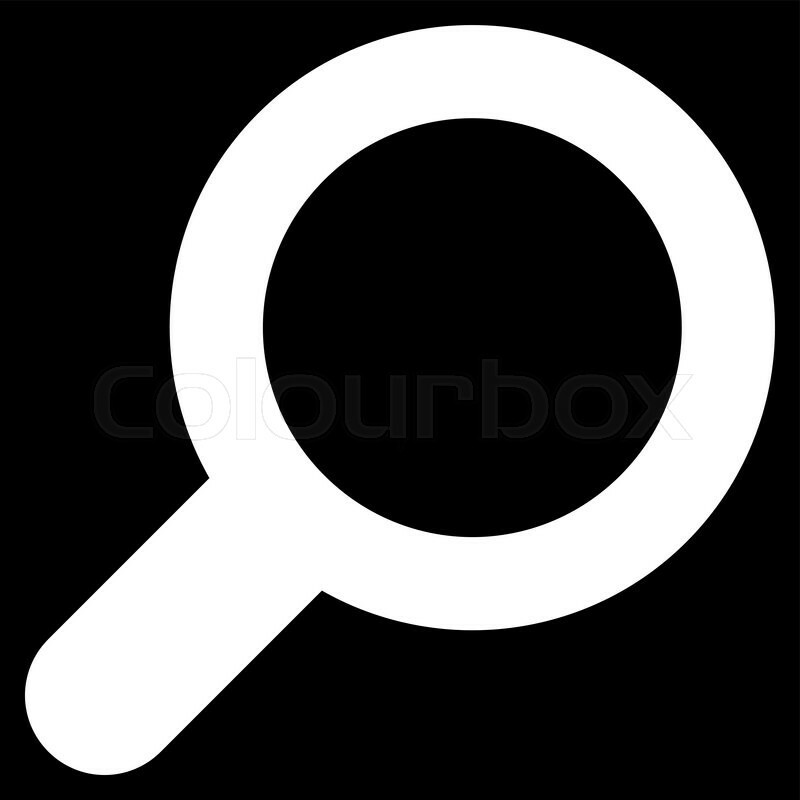 that they can consume during a specified time. Sometime these beer gardens even have themes, like the “Genghis Khan Beer Terrace” at the Odakyu Department Store in Shinjuku, Tokyo. Here they serve Genghis Khan Barbecue and all-you-can-drink Hokkaido beer. The highest beer garden in Japan–Beer Garden Patio 28—is located at a height of 453 feet on the 28th floor of the Osaka Rinku Gate Tower building. This beer garden caters to the exclusive gourmand, serving food prepared on order by famous chefs and a varied selection of drinks, not just beer. And one of the largest beer garden in Japan is held in Hokkaido’s Odori Koen. This beer garden can seat 13,000 people and has even more standing room! 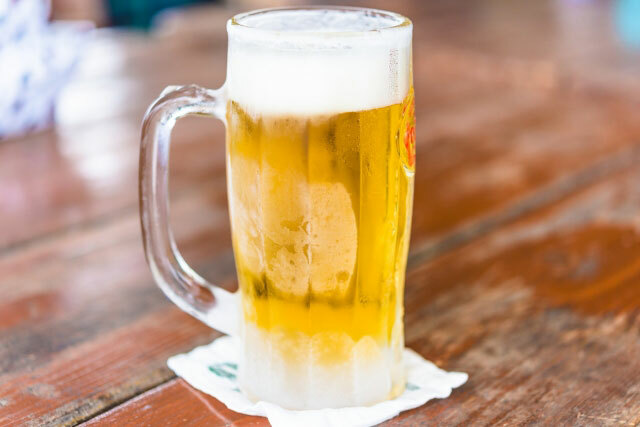 A few hours in the open evening air, with views of the city lights and airplanes taking off from the neighboring airport, enjoying a cold beer and good company sounds amazing! If you are interested in learning about the beer making process, some of the major breweries have opened up their facilities to provide educational opportunities and to allow visitors to taste the full line of beers they offer. One of the popular destinations is the Asahi Beer’s Kanagawa Brewery, where you can get an English guide service. The factory tours dive into the process of brewing beer, and end with tastings! The big breweries have also helped spawn the craft beer movement in Japan. Since the mid-1990’s small-scale breweries throughout Japan have begun making specialty beers, often using traditional methods and uniquely Japanese ingredients. One such brewery is run by brewmeister Momoyo Kagitani, the brewer of Loco Beer, and multiple award-winning brewer of craft beer. Ms. Kagitani has developed a Japanese version of the German kolsh beer, suiting it to local tastes and creating an international sensation. She carries on the tradition of brewing that reaches back to the mid-1880s, when Dutch traders setup their own mini-breweries in Nagasaki to serve their shipmates. The next time you’re in Japan, enjoy a cold one at your local izakaya, beer garden or baseball game! And don’t forget to share your photos with us! Pronounced exactly the way it’s spelled, just don’t get confused by the apostrophes (they’re meant to help). 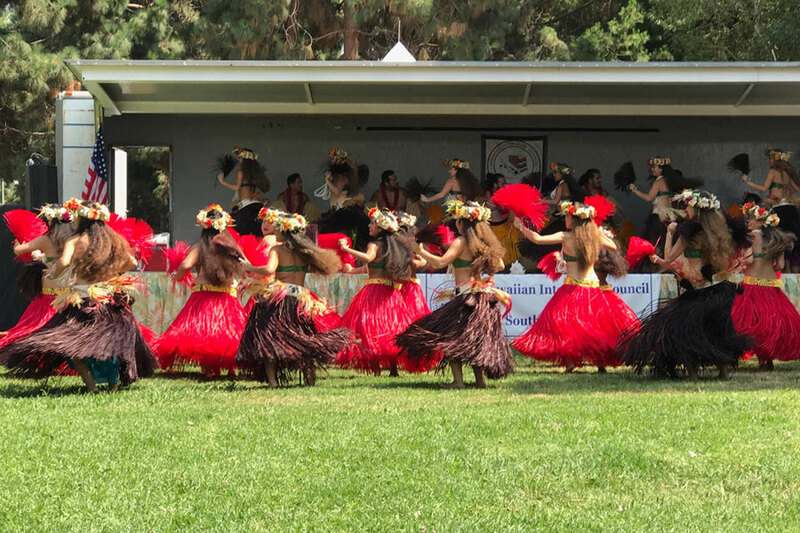 Ho-oh-la-oo-lay-ah is a Hawaiian festival that celebrates the culture, the dance, and its food. If you ever want to feel like a kama’aina (local native), go out to a ho’olaule’a and stuff yourself with da kine ono grindz. Luckily for me, there’s a pretty large festival near my area that’s been going strong for 39 years! 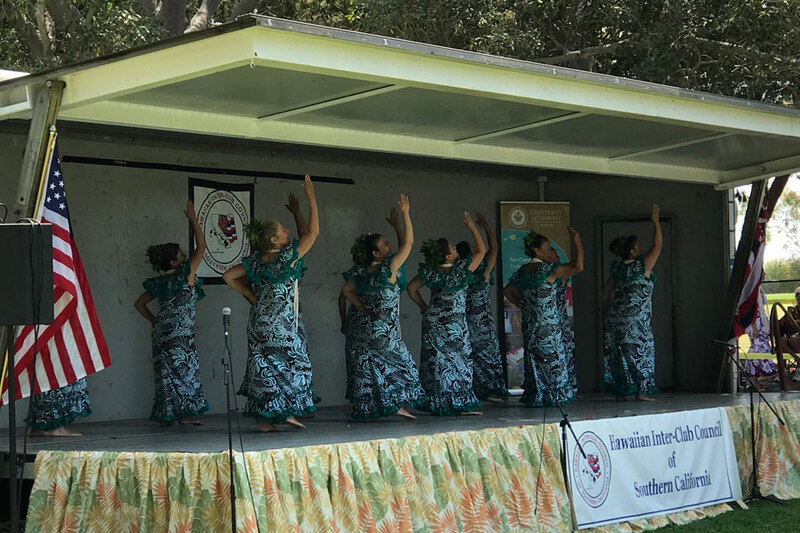 Our family would participate in this festival awhile back, when my daughter used to dance the hula on stage at this event. She doesn’t anymore, but recently we decided to go to the park to check it out again. Perfect for a hot summer day! 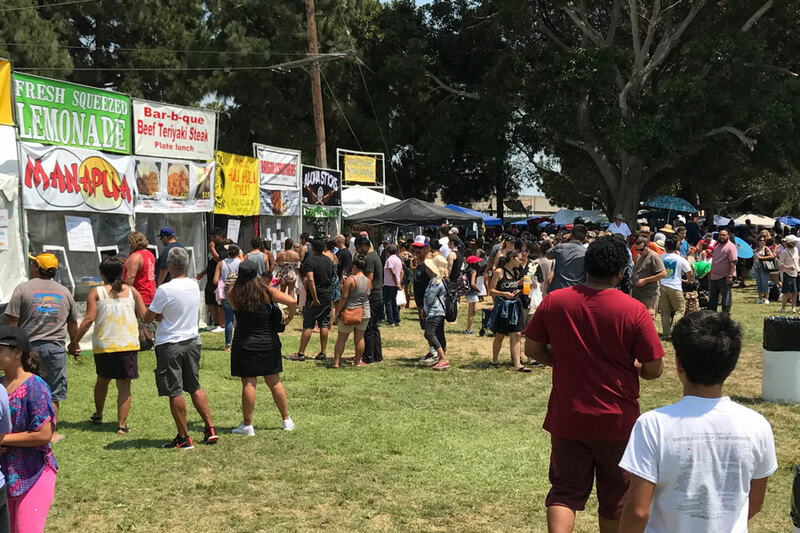 Like most festivals, the longest lines are the ones at the food booths—and local food is “da bess kine”. 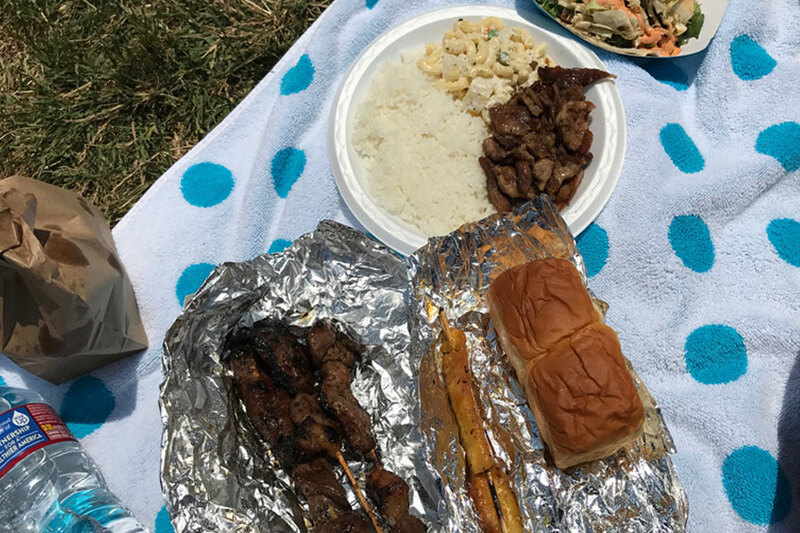 Manapua (stuffed bread dumplings), teriyaki, shave ice, Kalua Pork (shredded roast pork), spam musubi, and more! And what kind of fair would it be without meat on a stick? 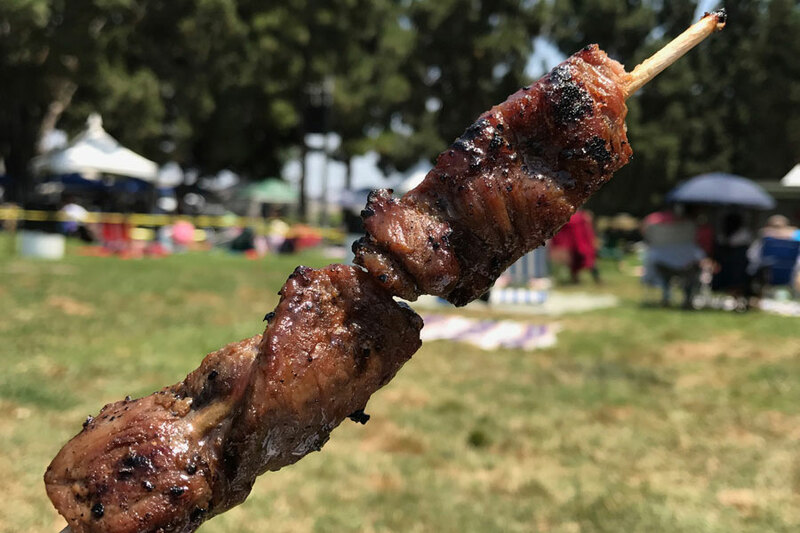 At the Hawaiian kine fair, it’s Korean Kalbi (short ribs) on a stick. We sat on the grass and ate our plate lunches while we watched the dancers perform on stage. 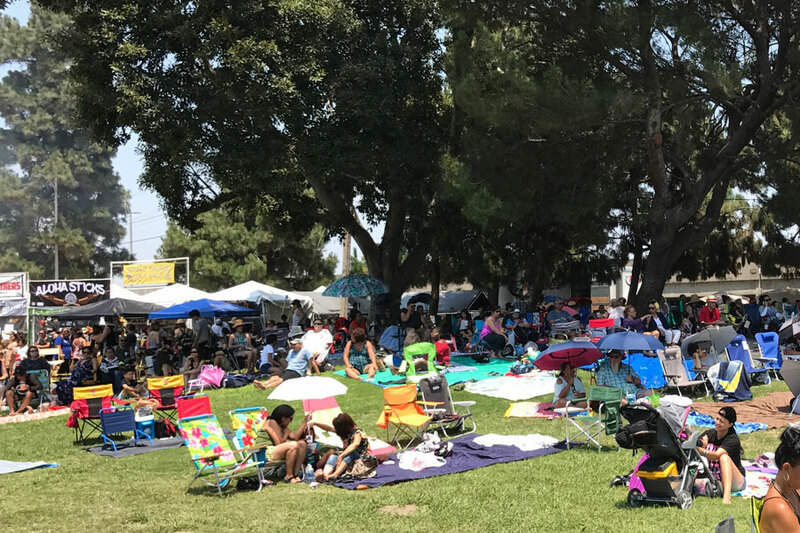 This is a 2-day weekend festival that takes place in the city of Gardena, California; today being the second day, it wasn’t as busy as the first—but still a good crowd came out to watch the festivities. Many halaus (hula dance studios) come from all over to perform here, so it’s a pretty big deal for all us expatriates living on the mainland. Everyone’s favorite is always the fast moving Tahitian dance, which gets the crowd going with its hyper drum beat and shaking grass skirts. But the beauty of the much slower Hawaiian hula is that the graceful movements of the dance transcends age, and can make anyone look like poetry in motion. Dancers visually tell stories with the movement of their hands as they sweep across the stage, set to the lyrical, falsetto vocals of the music. I mean, talk about stress relief—just watch hula for an hour and chill, man! At the booths you can buy almost anything that has to do with island culture. 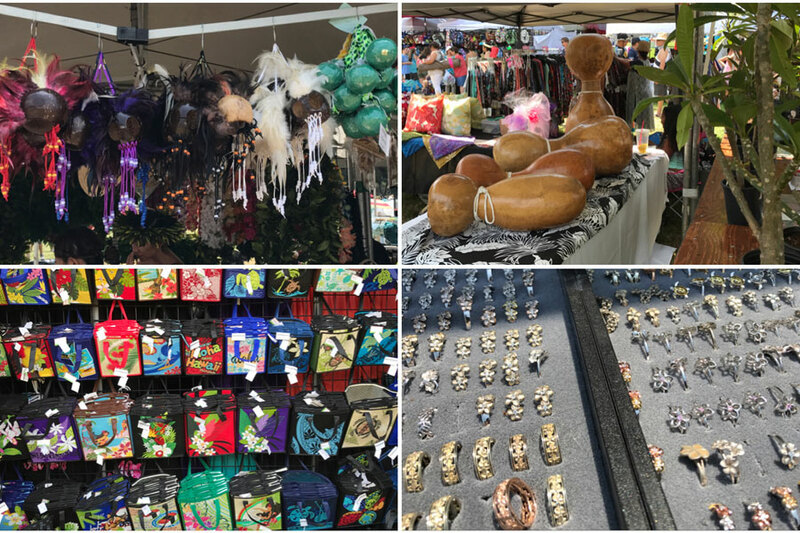 Pictured here are (from upper left clockwise) Uli Uli, the feathered gourd rattles used in dancing, and Poi Balls, the string tethered balls also used by dancers as they skillfully whip them around like yo-yos. The giant Gourds are rapped and pounded in rhythm to Hawaiian chants, and you can also see Plumeria stalks—another popular item that people buy to start their own trees at home. Handcrafted jewelry is always in demand—the rings are a traditional Hawaiian design, while plumeria shaped earrings never seem to go out of style. Hawaiian print lunch bags are one of my favorites—I always get a new one every year because I bring my own bento to work and it’s way better than a brown paper bag. 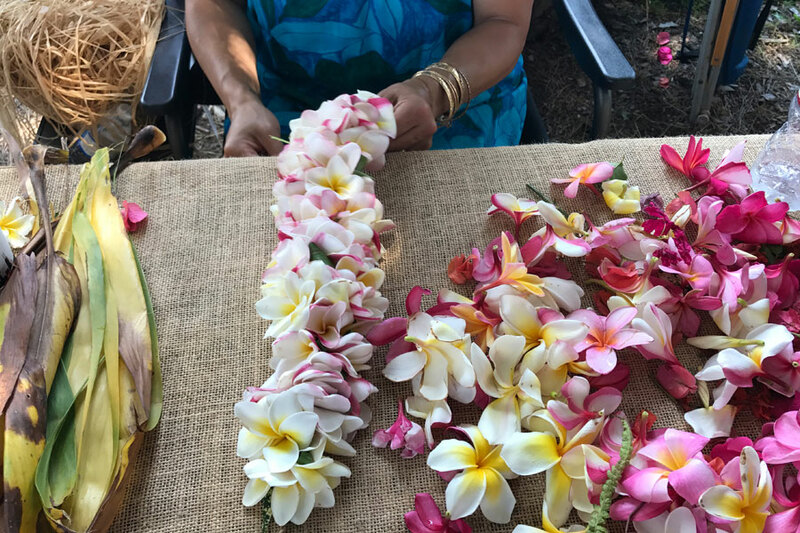 Most of the decorative garlands, wreaths, necklaces, hair ornaments, and ankle & wrist bracelets that you see on the dancers are made by hand with natural materials like flowers and leaves, as was crafted by the ancient Hawaiians. Here’s an award-winning lei designer displaying her skill. Aren’t the flowers beautiful? That’s my tour of a little bit of Hawaii on the mainland, for a day. If you get hungry for local food, try your hand at all the recipes available everywhere online—they’re really not that complicated. Zojirushi also has a few on their recipe page that are traditional favorites. 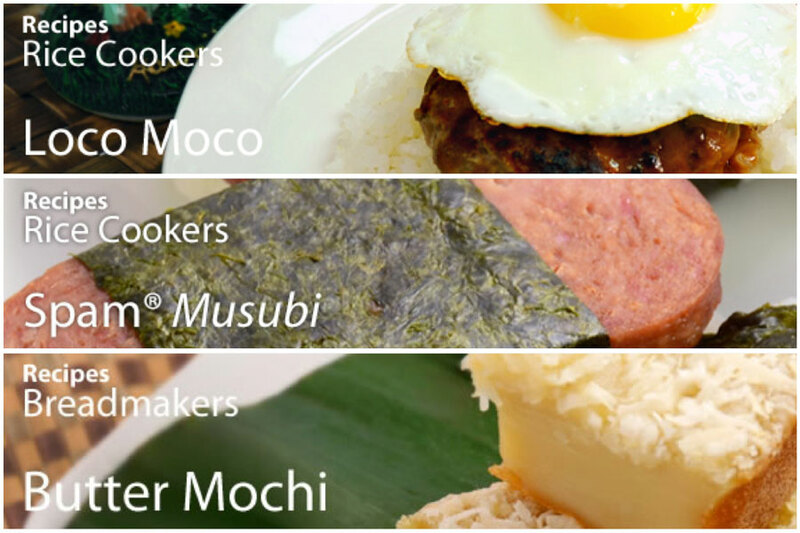 Jump to their Loco Moco, Spam Musubi and Butter Mochi pages and let me know how you like them!